Our goal is to get animals into their forever homes, or as we like to say, their “fur-ever” homes. At our shelter, we provide top-notch care, but we can’t give animals the personalized, individual love and attention they get from an owner who loves them. 1. You should not adopt unless you are “in it” for the long haul. Our buddy Ernest, pictured above, is a Greek tortoise who might live to be 50. 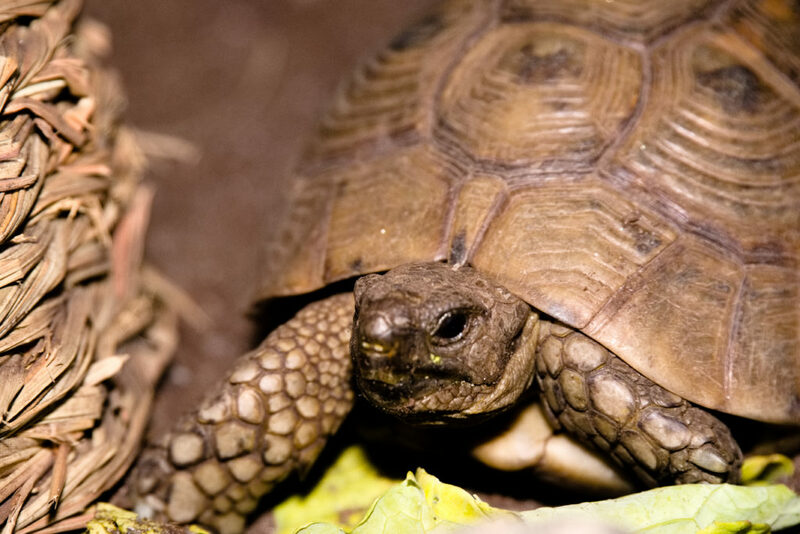 There are tortoises and birds that live to be over 100. 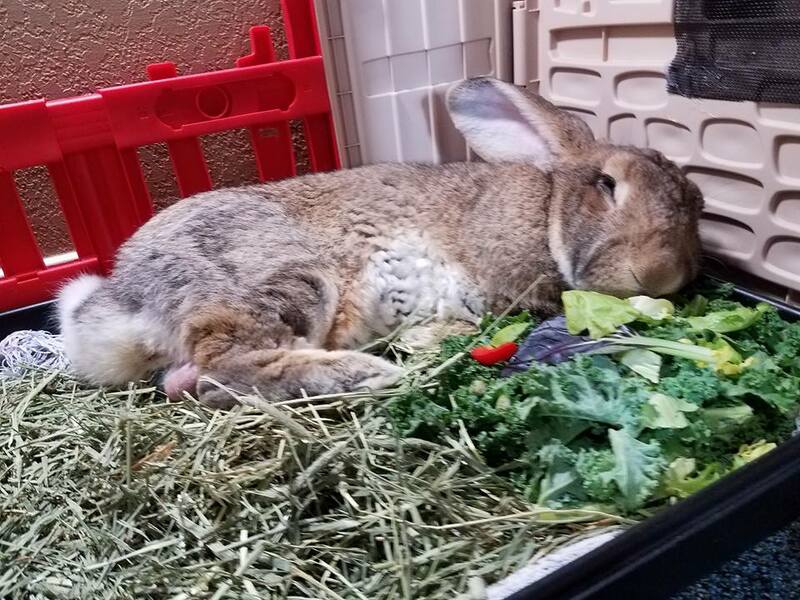 Even an animal like a bunny can live to be over 10 years old. Do you know what you will be doing in 10 years? 50? 100? Adoption means that you will make future life decisions with your pet as a priority. We see way too many animals come to our shelter because the owner’s life is changing. If you get married (or divorced), have kids, go back to school, change careers… will you still be committed to your pet? 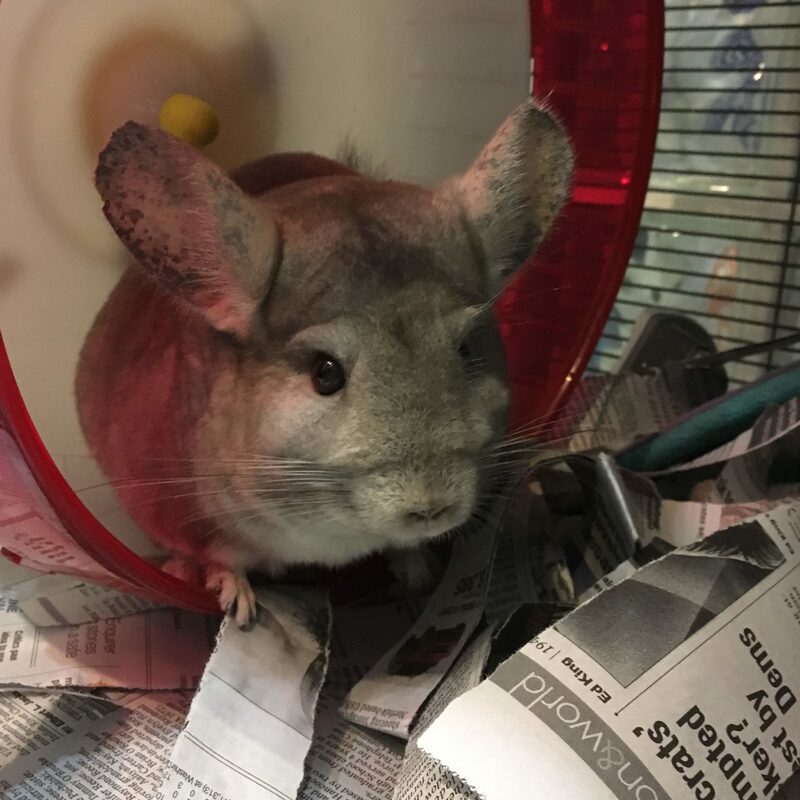 If you cannot say YES with certainty, sponsor an animal instead, choose an animal with a short lifespan, such as (sadly) a rat or guinea pig, or adopt a senior animal who needs a loving home for their twilight years. 2. Breeders are not always honest, even if you think you are asking all the right questions. While we may not agree, we do understand why some people opt to go to a breeder rather than a shelter. However, we want to caution you that many breeders will say anything they need to say to make the sale. 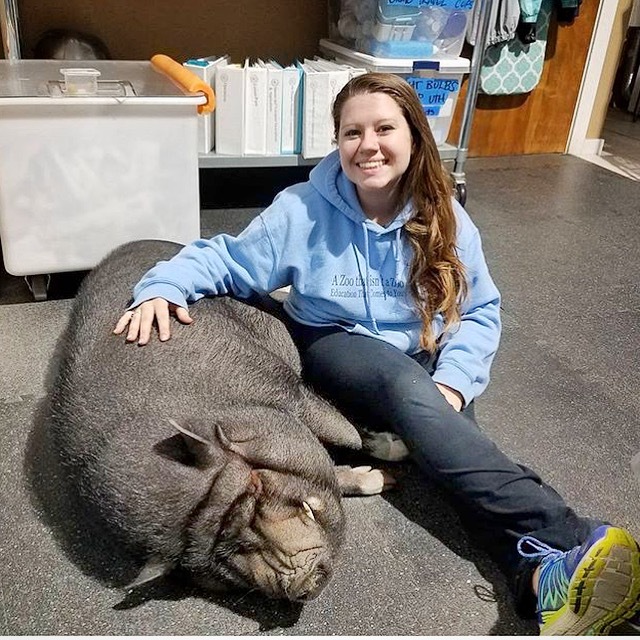 For example, Bentley the pig, pictured above, was sold as a “teacup pig.” (There is no such thing – read more here.) Even if you think you are asking good, thorough questions, breeders can lie by omission or bend the truth. Did you know that every state has private (i.e. not city-run) rescues and shelters just like us? They would be happy to help you find a new pet! 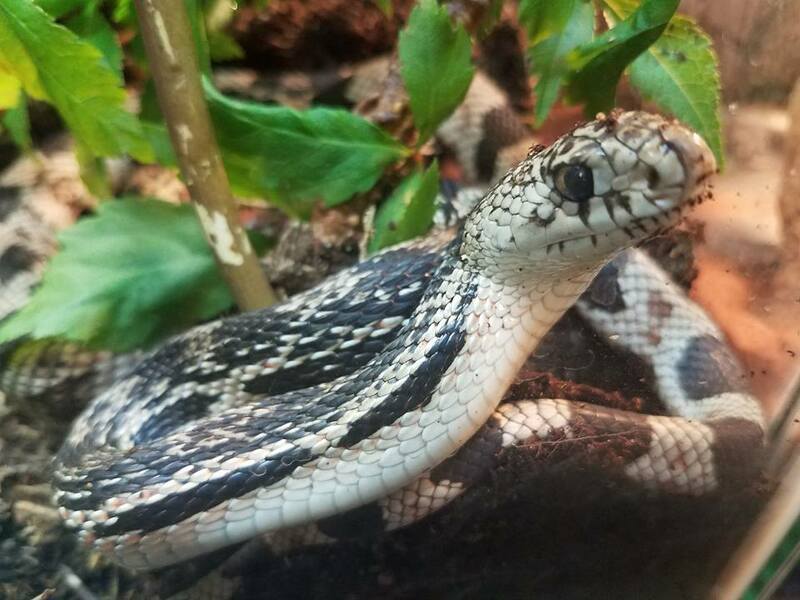 A lot of people might think that there are no reptiles available for adoption, for example, because their local city-run shelter doesn’t have any. Here’s the sad fact… most city shelters do not have the resources for anything other than cats and dogs, and maybe a few pocket pets. So, animals like iguanas, snakes, ferrets, etc. often get euthanized after just a few days. If you google the breed or species you want + your state + rescue, you’ll find options! 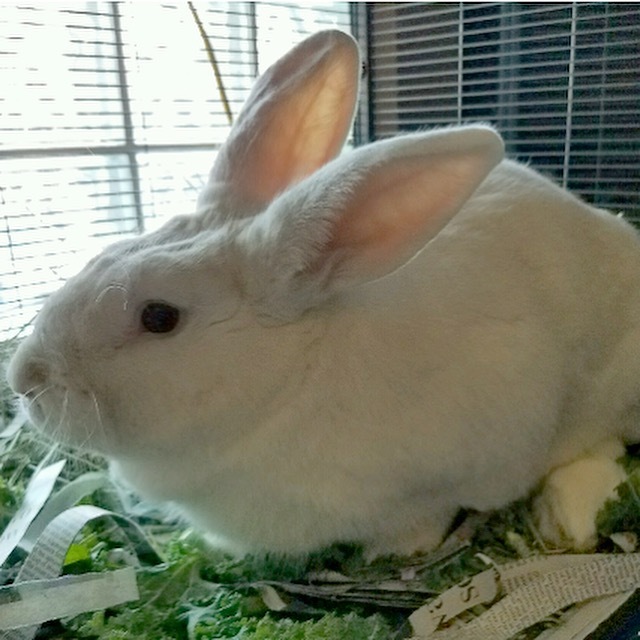 (For example, if you google “bunny + Virginia + rescue” our website will pop up.) If you can’t find the exact kind of rescue you want, get as close as possible and then call and ask if they partner with any rescues or know of any rescues that might have the breed/species you want. 3. Every animal has a personality, and you need to find one that meshes with your personality. You can research breeds and species for days, but at the end of the day, each animal will have their own personality. 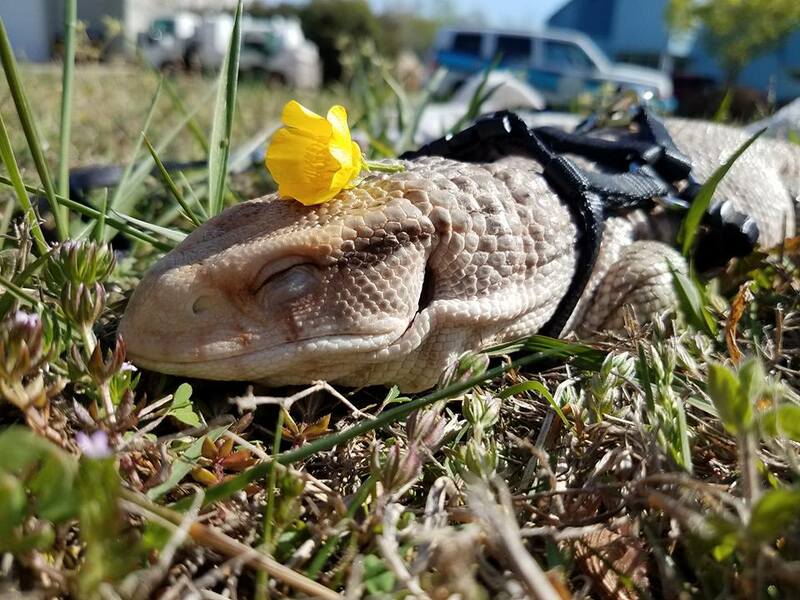 For example, the picture above is our friend Blue the Savannah Monitor. These are giant lizards that weight 50+ pounds when full grown, and without the proper training, they can be dangerous. In fact, when Blue first came to us as a hatchling, he was very aggressive, which is actually a sign of god health in a lizard, but not so great for a family pet. 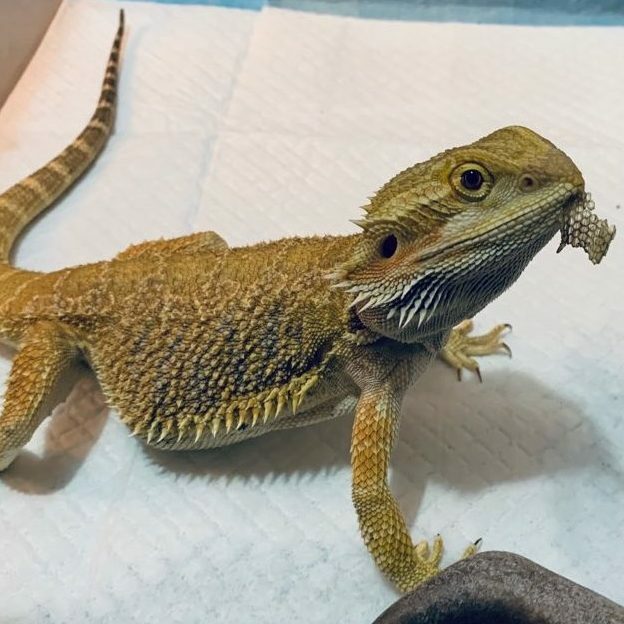 Many monitors continue to be aggressive into adulthood, but Blue has become a puppy dog… to the point where he actually “failed” his instinct test recently by trying to lazily swallow a chunk of meat whole instead of tearing it apart as should come naturally to him. We have animals that are high-strung and energetic, animals that are mild-tempered and mellow, animals that are playful, animals that are stubborn… the list goes on and on, and breed/species only plays a partial role in their personality. 4. We hate breed-specific legislation and landlord rules, but hating something doesn’t mean it isn’t real. Ugh… that dreaded moment when we are reviewing an adoption application, call the landlord, and get a “NO WAY!” It breaks our hearts every time, but we never, ever recommend circumventing your landlord if they don’t want you to have an animal. Your secret will be found out, and when it does, you’ll be forced to give your pet back to the shelter or move. It’s not a fun situation. Likewise, exotic animals are highly regulated in some states, and we never think that you should try to keep your pet a secret. 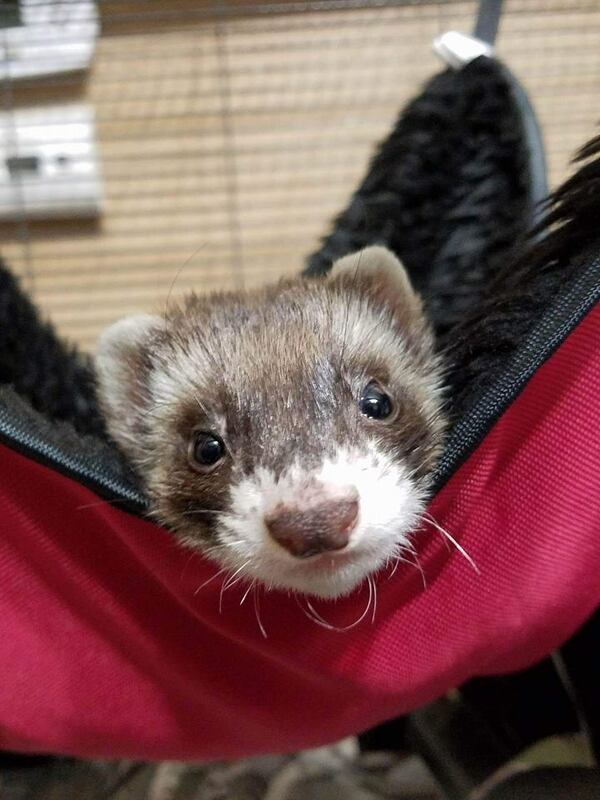 Did you know that ferrets are not legal as pets in New York, for example? Or that hedgehogs are not legal as pets in California? Some breeds/species are also legal in certain states but cannot be transported across state lines. Or, some breeds/species are legal but require a special license or permit. In some areas, laws change city by city or county by county! Know the law. Follow the law. Yes, even if you don’t agree. And before you adopt, think about where you might live someday. Are you committed to living in the state where you live now? What will happen to your pet if you get transferred to another office? If you get a promotion but are required to move? If your duty station changes? If you have to move to care for a sick relative? All the what-ifs can make a person crazy, and of course we can’t know what the future holds, but be aware that you need to have a plan that includes your new pet. 5. Animals can be expensive. Large annual or occasional costs – like vet bills, replacing larger items due to wear and tear, etc. Some animals have a very lost cost initially, but very HIGH occasional or annual costs. For other animals, it is the opposite. Think about how you will budget for pet-related costs, what you will do if your income changes, and how much you can afford without stressing your family budget. 6. The novelty of a new pet can wear off pretty quickly. Adoptions often happen as a snap decision, when someone just can’t say no to a cute new pet. Unfortunately, that charm wears off the first time your pet is sick or you can’t find a pet-sitter or you get hit with a huge vet bill. Suddenly, you might find yourself questioning what you were thinking. When the novelty is gone, will you still be happy with your decision to adopt? Again, we want pets in homes, not in shelters… but we definitely don’t want them to come back because their new owners get sick of them in a few weeks. It is extremely stressful for animals to be returned, especially animals that have a history of abuse, neglect, or abandonment. It’s just not fair to them. 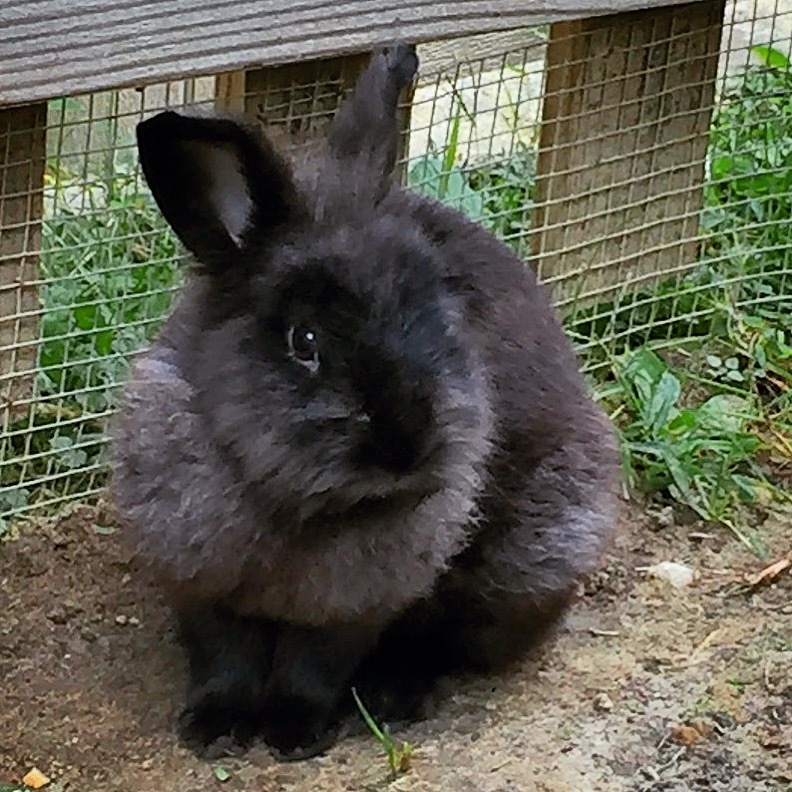 Huckleberry the bunny (pictured above) is a great example of a case where someone got a bunny without thinking about the future, and then abandoned him. So, we recommend walking away and thinking about the decision for at least 24 hours before committing to adopt an animal. Give yourself time to really think about whether or not this is the right decision for you and your family. 7. Every adult in your house needs to be on board. If you have roommates or a significant other, they must be okay with your new pet. We have seen many cases where one adult in the household adopts an animal and another adopt in the household is not on board. Pets do not make good surprises! This is especially a problem with reptiles such as snakes. 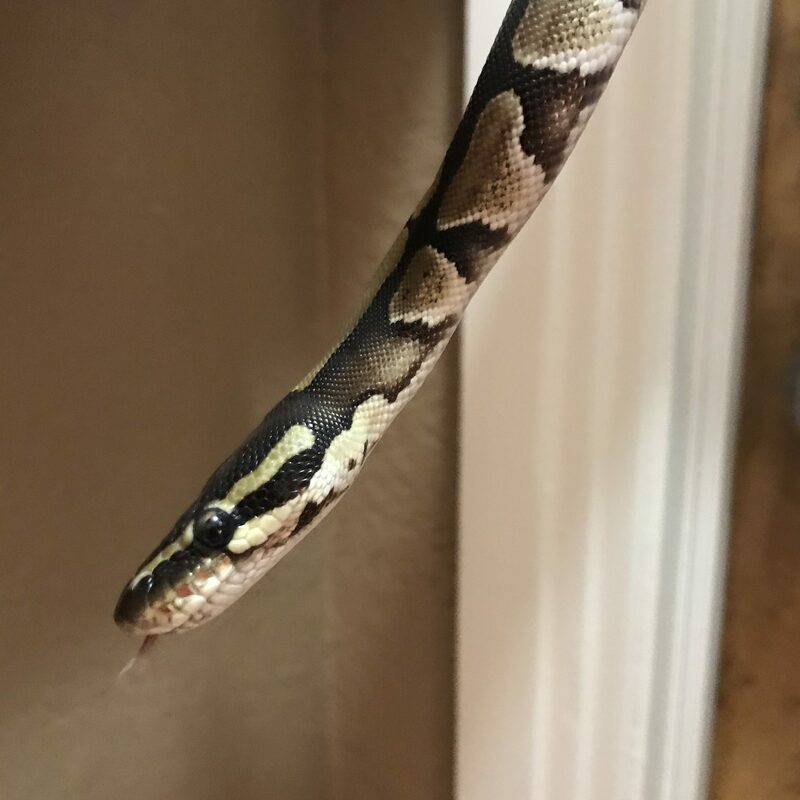 We think that snakes make great pets, but many people do have an irrational fear of them. The same is true of tarantulas and rats. If the other people in your house are afraid of your pet, it is going to create a stressful situation for everyone. We have even had cases where someone who is not the owner calls us trying to surrender an animal because they don’t want it in the house anymore! We of course cannot take in an animal from anyone other than the owner, but it just illustrates how stressful the situation can be. If another adult in your house does not want you to adopt the pet, the answer is NOT to “wear them down.” Yes, you can do what you can to convince them, but pressuring them will only cause regret. Instead, think about a compromise by adopting an animal you can both enjoy. No matter what animal you are considering, the key is to research. And then research. And then research some more. You need to know everything there is to know about owning an exotic animal before adopting. Most of the animals that get abandoned to us are from owners who did not do their research first. For example, with our friend Dozer (pictured above), we got a lot of inquiries about him from people who were not a good fit. They had clearly not done their research to figure out the care and cost of a Flemish Giant. We did eventually find the perfect home for Dozer (yay! ), with someone who was well-prepared to adopt him. The best thing you can do to make sure you’ve done your research is to speak with the caretakers of the animal. Don’t be afraid to ask a lot of questions. That way, you can be sure that the needs of the animal are clear, you are prepared for the cost, and you are adopting an animal that is a good fit personality-wise for your family. If animal adoption is not in the cards for you at this moment, you can always become an Animal Angel and sponsor an animal that is at our shelter. This is an awesome way to “adopt” an animal without actually physically adopting an animal. 100% of these donations go toward caring for the animals in need at our shelter!